Nate's sister is getting married in a year and her wedding colors are purple and blue. To get some inspiration of the natural kind, we, + guys and dogs, headed over to Lake Ontario (which she lives super close to) to snap some pics of the sunset. I've thrown some other pics in as well for fun. 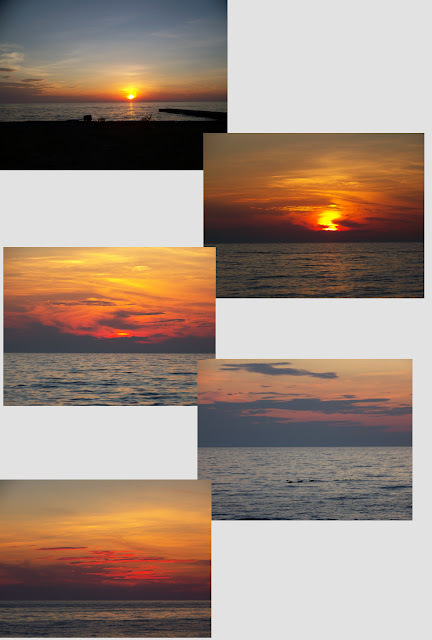 Progression of the sunset. Can you see the duck in the second to last one? 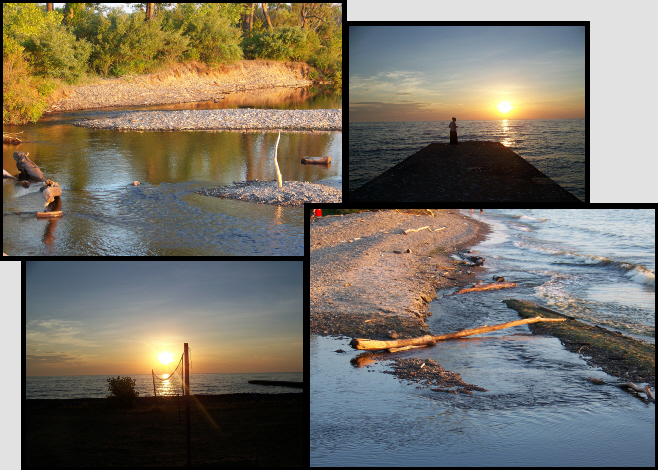 It was a gorgeous night and a beautiful sunset. The coolness near the lake was an added relief to the very hot days that we had been dealing with. Have any of you seen a really pretty sunset recently?